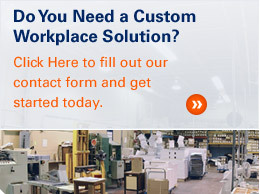 The professionals at Ford & Ulrich make safe and productive workplaces a reality for clients in a wide range of industries throughout New England. 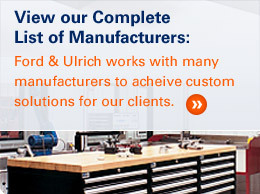 From design and layout of any work space to the sales and installation of innovative material handling equipment, Ford & Ulrich is in the business of making everyone's business safer. 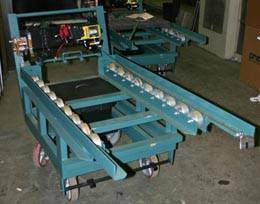 Customized cart used for removing parts out of a hot oven.